This is with regard to my two previous posts on "orientalism" and the "modern" Arabs. 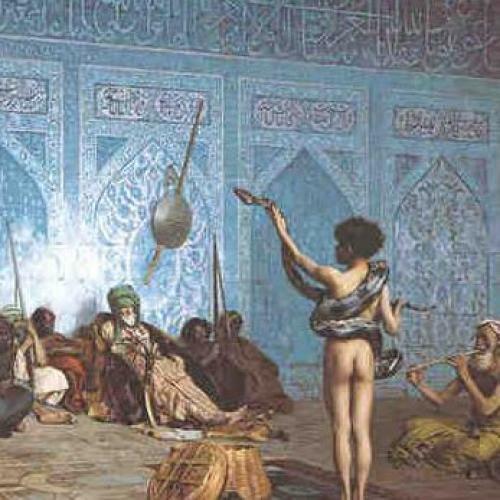 An old friend reminded me that "it was a Gérôme that was the cover of Said's expiring "classic," Orientalism. But, as for Said being buried in Lebanon, it actually speaks to his cosmopolitan rootlessness. On the other hand, he did once, in a pathetic display of the fighting spirit, throw stones at the Israeli frontier from the Leabanese side...and in front of a ghoulish Hezbollah poster, no less.